Less than 24 hours after telling players they were working to fix some issues with it, Epic Games announced on Reddit that Fortnite now has Playground LTM. The company plans to go over what exactly went wrong and share it with the public down the road, but in the meantime, we have a brand-new mode to play on that’s just waiting to be exploited and broken. Don’t be entirely shocked if you don’t end up seeing a new update or two come through as people begin playing with it, but for now, enjoy the mayhem! Success! We’ve completed deploying our servers containing the improved matchmaking changes. 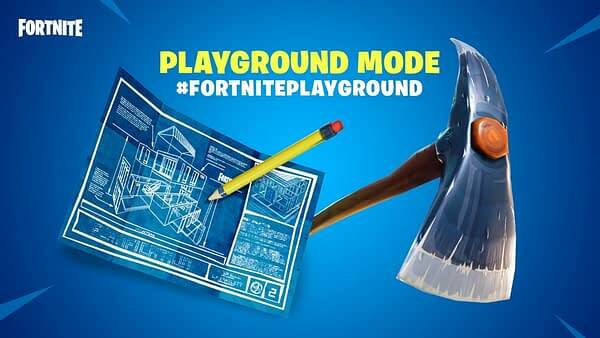 All players can now join in on the fun in the Playground LTM. Please remember to change your region back to “auto select” and verify you’re on your preferred region. There is the possibility that you may encounter an error, as many players are attempting to join this game mode. Just attempt to requeue until you find a match.